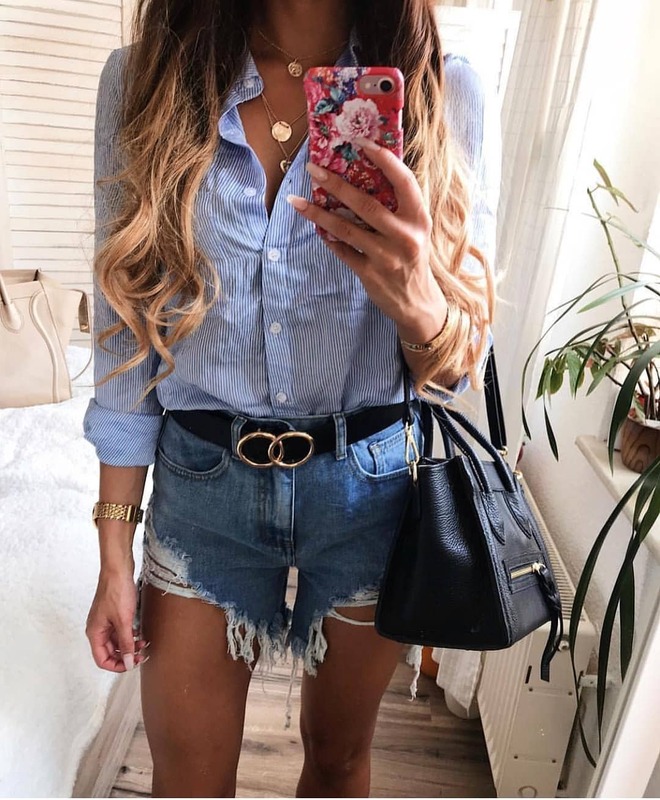 A perfect look for Summer vacay. 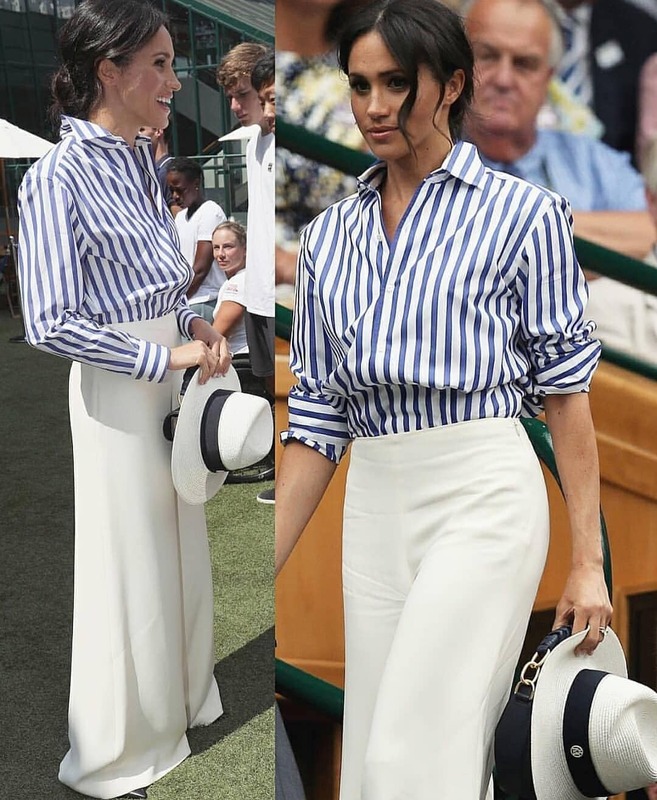 We see a pinstripe shirt tucked in white palazzo pants. The combo is completed with a white Panama hat and black leather clutch bag. Simple, ladylike and sweet style.